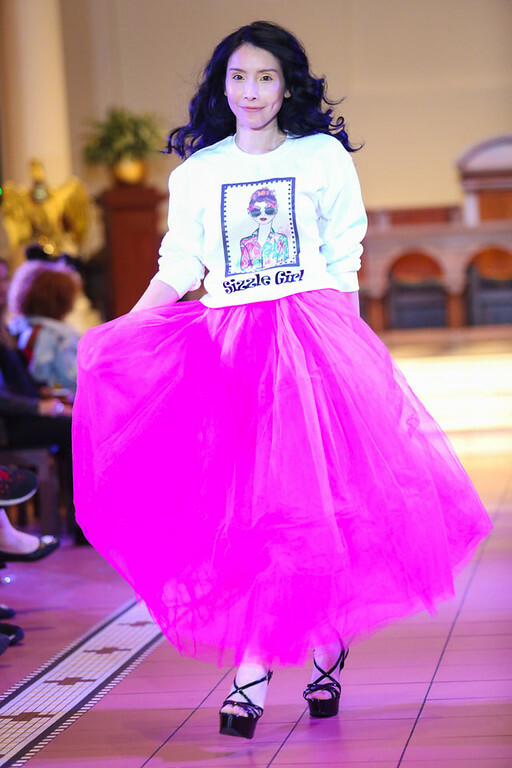 Rosie Huntington Whiteley was in attendance at the ELLE Weekender held at The Saatchi Gallery on Sunday (December 2) in London. 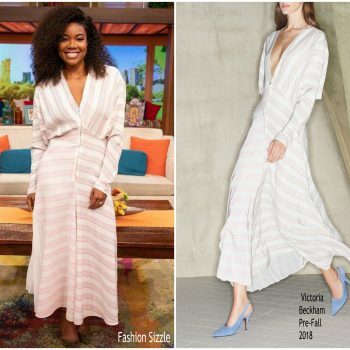 She wore a Victoria Beckham Spring 2019 design. 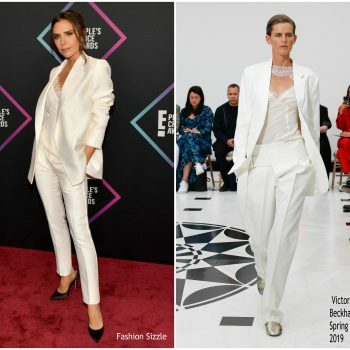 Victoria Beckham attended the 2018 Peoples’ Choice Awards on Sunday night (November 11) at Barker Hangar in Santa Monica, Calif. Victoria was honored with the Fashion Icon Award. 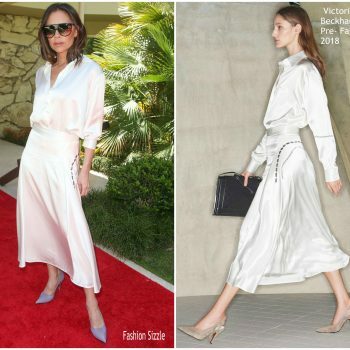 She wore a white Victoria Beckham Spring 2019 design. 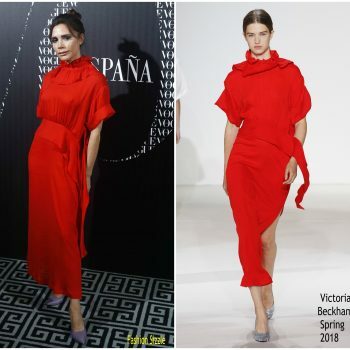 Victoria Beckham was in attendance at the Argento Ball for the Elton John AIDS Foundation on Wednesday (June 27) in Windsor, England. 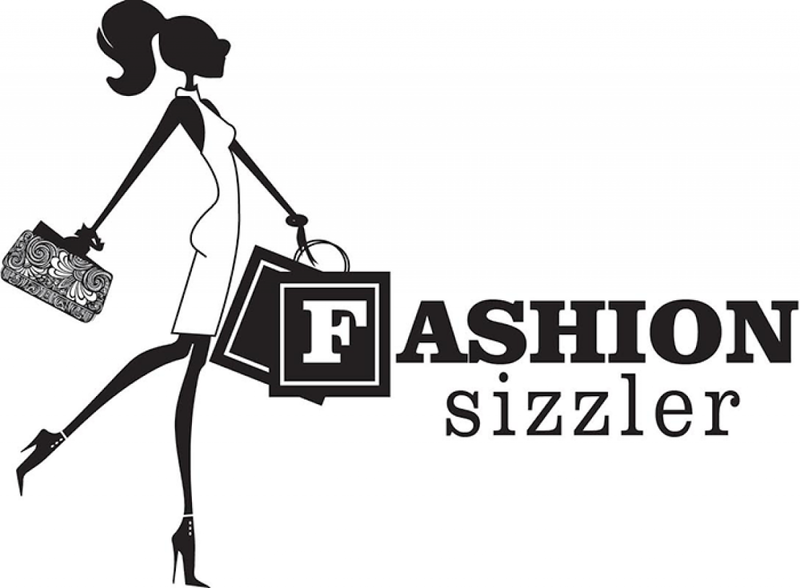 She wore a black Victoria Beckham dress styled with Jacob and Co. emerald jewelry. Zoey Deutch visited SiriusXM to promote her latest film, ‘The Year of Spectacular Men’. 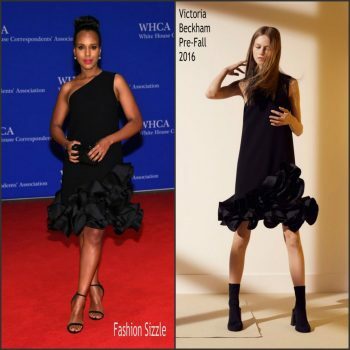 She wore a black Victoria Victoria Beckham dress. 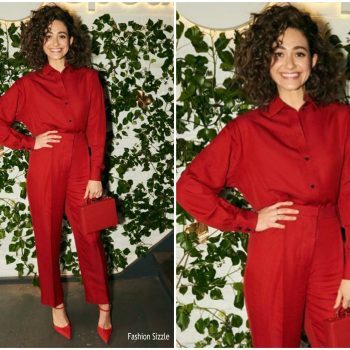 Yara Shahidi was in attendance at the Disney/ABC International Upfronts on Sunday (May 20) in Burbank, California. 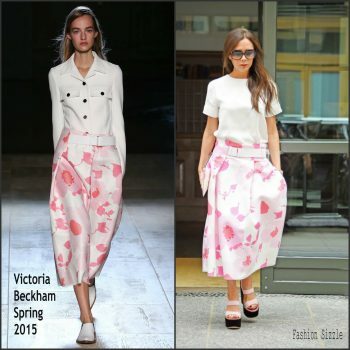 She wore a pink Victoria Beckham Spring 2018 deign styled with sneakers. Victoria Beckham was spotted on her way the Martin Margiela Exhibition at the Palais Galliera in Paris, France on (March 28). 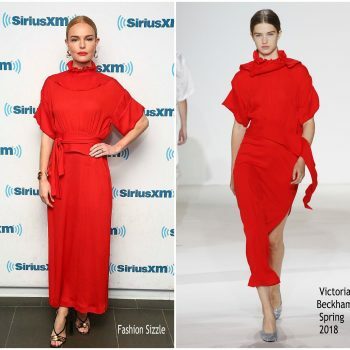 She wore Victoria Beckham Pre-Fall 2018 collection. Victoria Beckham is seen at Gare du Nord station on March 13, 2018 in Paris, France. 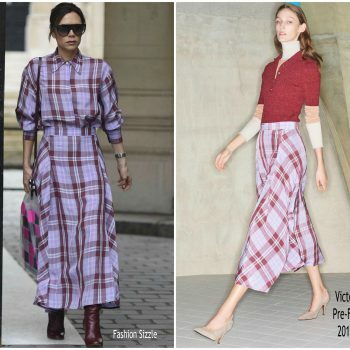 Victoria Beckham in a silk Victoria Beckham shirtdress. 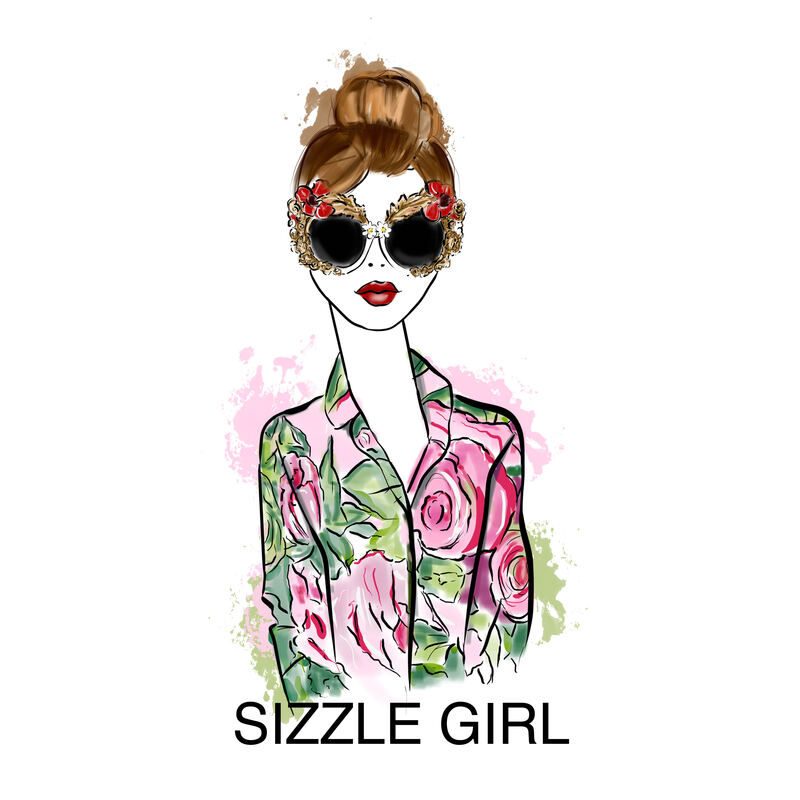 Designer and Fashion Sizzler Victoria Beckham spotted OUT IN Manhattan wearing her latest collection after her presentation. 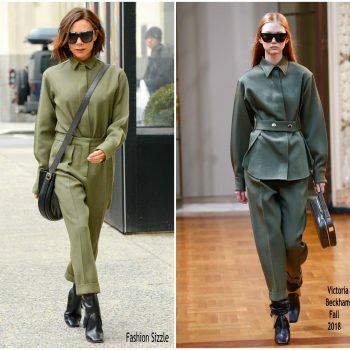 Victoria is rocking a military chic Victoria Beckham Fall 2018 design. Victoria Beckham attended the Harper’s Bazaar Women Of The Year Awards 2017 in London, England on Thursday (November 2). 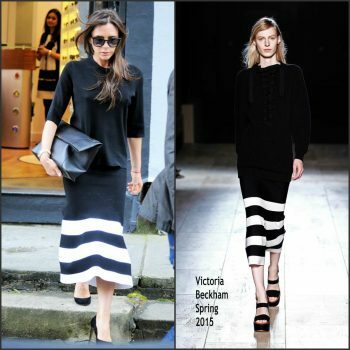 Victoria Beckham wearing Victoria Beckham designs. Victoria Beckham was spotted out in New York City on Thursday (June 7). 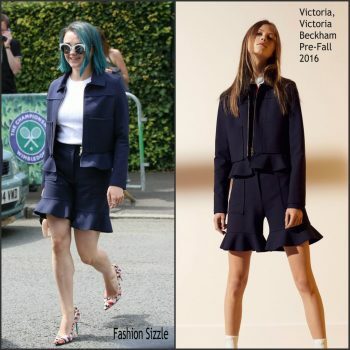 She is wearing a sky-blue design from her Victoria Beckham Resort 2018 collection. 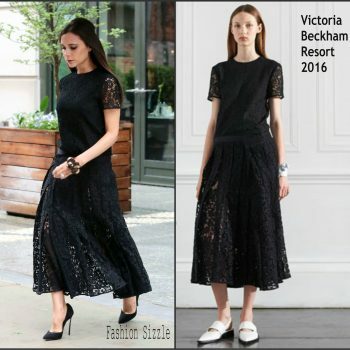 Victoria Beckham was spotted out in New York City on Thursday (June 7). 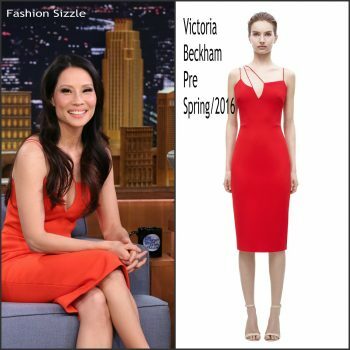 She is wearing a orange Victoria Beckham Resort 2018 design. Kristen Bell attended the 2016 NBC UNIVERSAL Upfront at Radio City Music 05/15/2017 She wore a Victoria Beckham Resort 2016 bicolor dress . 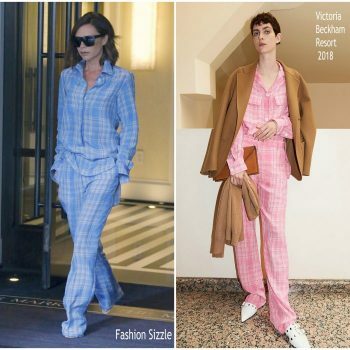 Victoria Beckham was spotted at Gare du Nord, arriving at the train station in Paris, France from London on Tuesday (May 3). 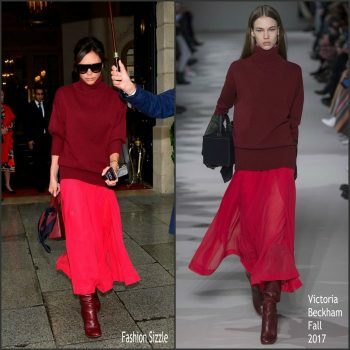 She is rocking a Victoria Beckham Fall 2017 design styled with boots. Demi Lovato was in attendance at WE Day at The Forum in Inglewood, Californiaon Thursday (April 27). 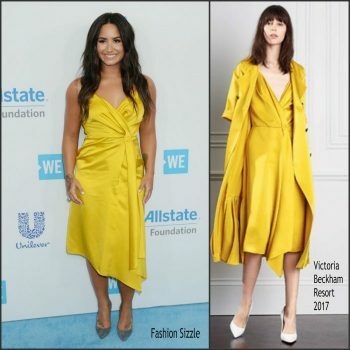 She wore a yellow Victoria Beckham’s Resort 2017 with grey Gianvito Rossi pumps. Julia Louis-Dreyfus was in attendance at the ‘Featured Session: ‘Veep’ Cast’ during the 2017 SXSW Conference and Festival in Austin, Texas. 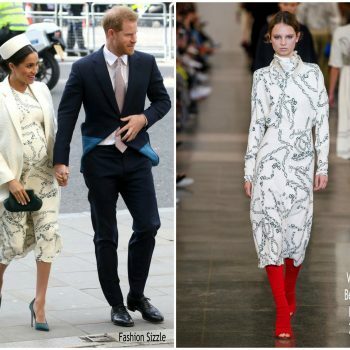 She wore a Victoria Beckham Resort 2017 printed dress styled with dark yellow shoes. Victoria Beckham was spotted in Paris, France today March 10, 2017. 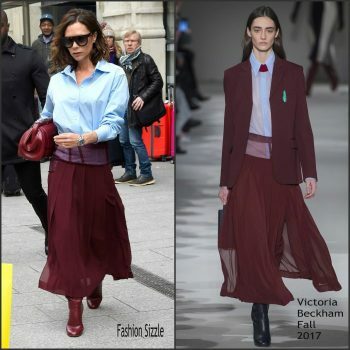 She is wearing head-to-toe from her brand Victoria Beckham Fall 2017 collection. 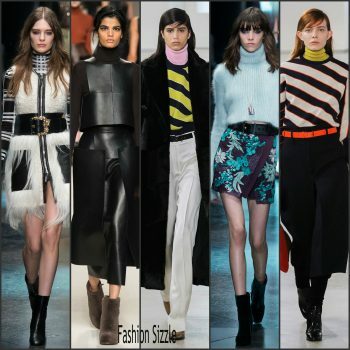 Victoria Beckham attended the Fashion Q&A with Roopal Patel at Saks Fifth Avenue on Monday (February 6) in New York City. Selena Gomez was spotted getting dinner with her 13 Reasons Why co-stars at The Dutch in Soho in New York City yesterday. 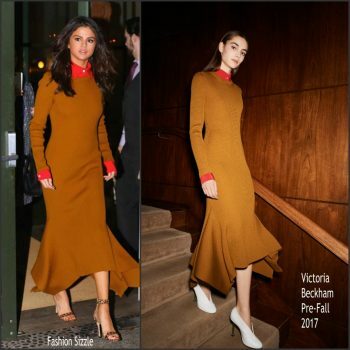 She wore a Victoria Beckham Pre-Fall 2017 dress . 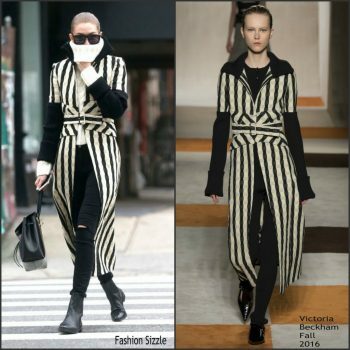 Gigi Hadid was spotted out in New York She wore a Victoria Beckham Fall 2016 striped coat. 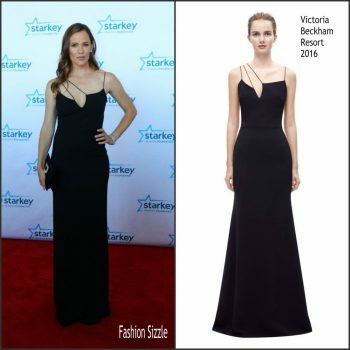 Jennifer Garner attended the 2016 Starkey Hearing Foundation 'So the World May Hear' awards gala at the St Paul RiverCentre on July 17, 2016 in St Paul, Minnesota. Maisie Williams was in attendance at the 2016 Wimbledon championship at the All England Lawn Tennis and Croq In London on Saturday July 9, 2016. 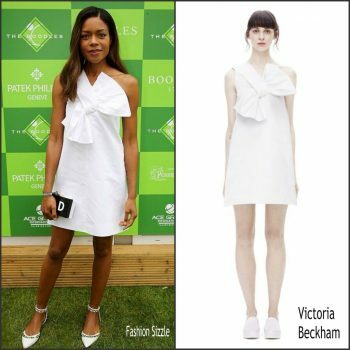 Naomie Harris attended The Boodles Tennis Party held at The Stoke Park Hotel on June 22, 2016. Elizabeth Debicki attends Disney's "The BFG" premiere at the El Capitan Theatre on June 21, 2016 in Hollywood, California. Naomi Watts attends a Vanity Fair dinner at the Tetou restaurant during the 69th Annual Cannes Film Festival on May 12, 2016 in Cannes, France. Victoria Beckham attended the ‘Cafe Society’ premiere and the Opening Night Gala during the 69th annual Cannes Film Festival at the Palais des Festivals on May 11, 2016 in Cannes, France. Karlie Kloss attends the 2016 Time 100 Gala, Time's Most Influential People In The World held at the Time Warner Center on Tuesday (April 26) in New York City. 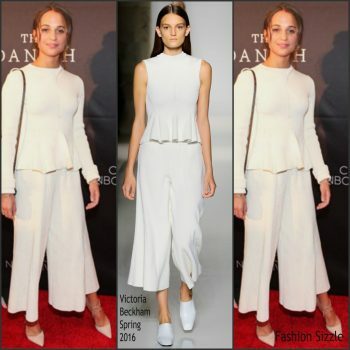 Jennifer Lopez In Victoria Beckham – 2016 Winter TCA Tour – NBCUniversal Press Tour. Alicia Vikander was in attendance at the premiere of ‘The Danish Girl’ commemorating the annual Transgender Day of Remembrance at the United States Navy Memorial on Tuesday November 23, 2015 in Washington, DC.